Hi everyone! 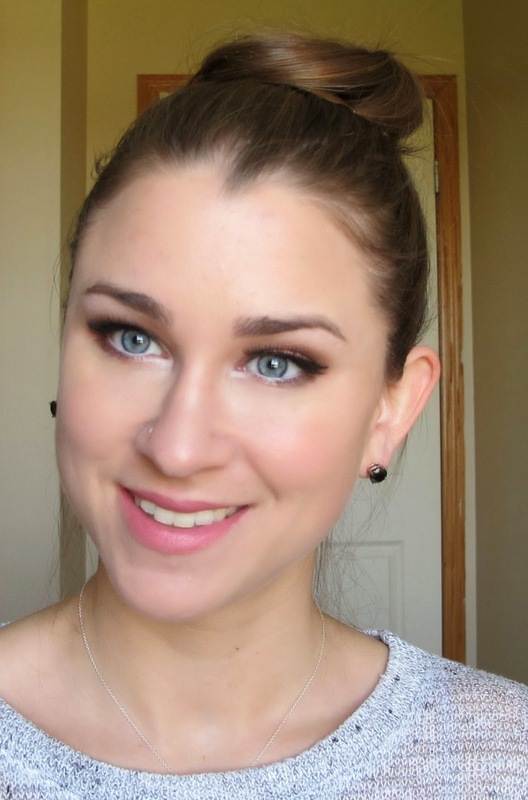 Formals season is upon us so I thought, what better time to upload a prom inspired makeup look? 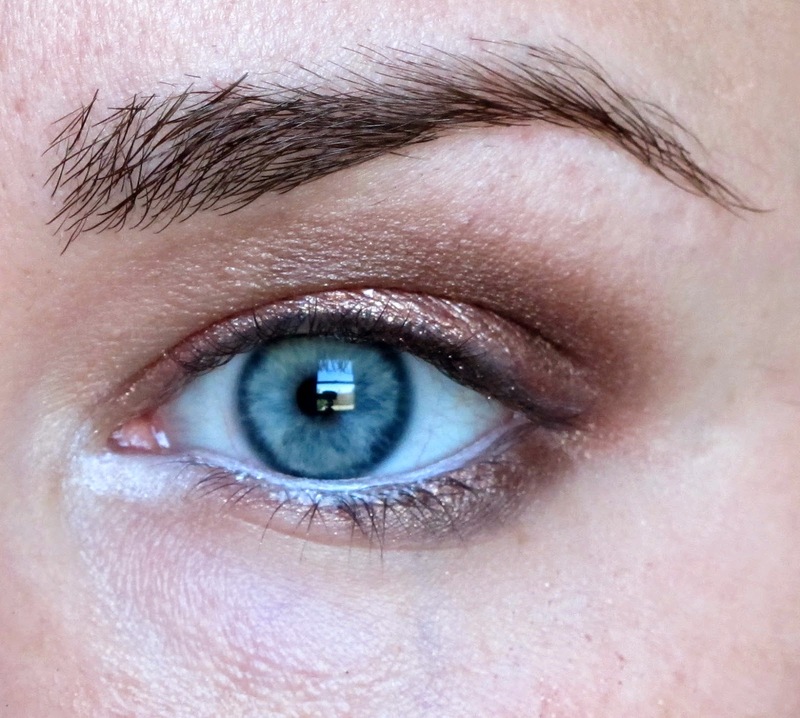 I adore rose gold and wanted this makeup to reflect that! It is very wearable and will go with tons of different dress colors. It will also compliment your rose gold jewelry perfectly...also very easy to re-create! Enjoy! To begin, prime the lid with your favorite primer so that your makeup lasts. Then, use a white eye crayon and line the lower water-line. 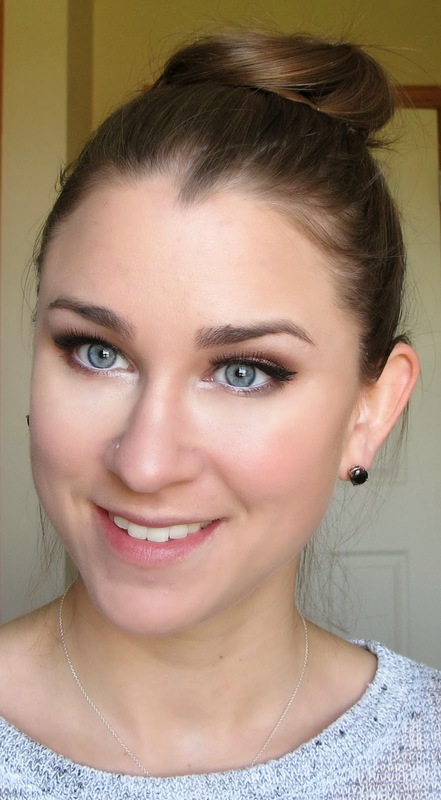 Usually I don't like white liner on the waterline, but with this look I think it works great! 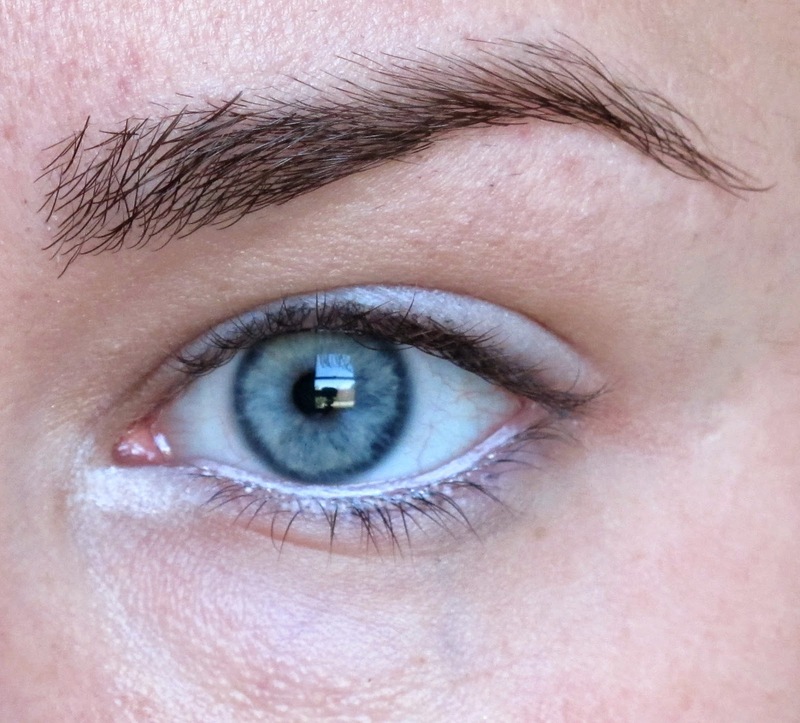 Also lightly cover the eyelid and the inner tear duct area. If you love rose gold, you NEED this product in your life. 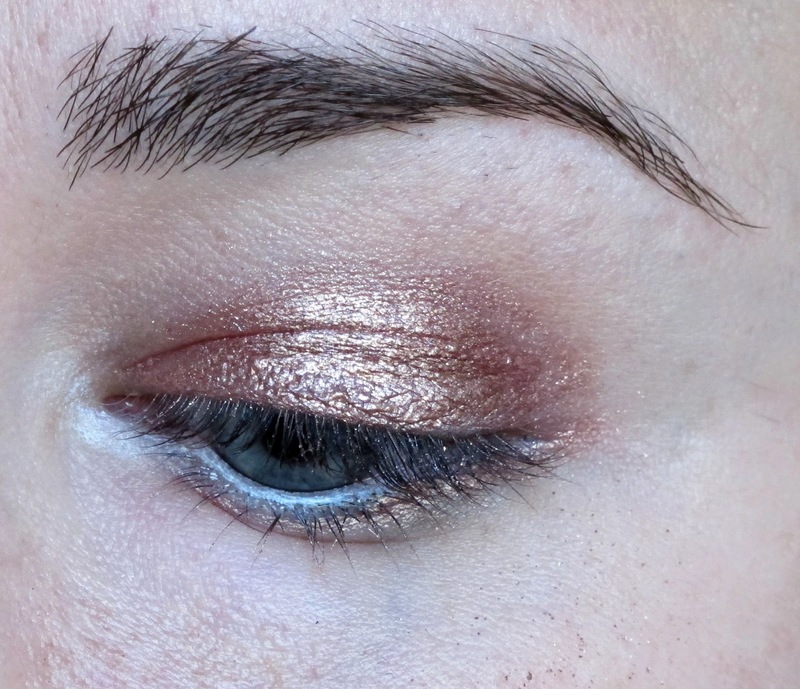 It's Laura Mercier Metallic Creme Eye Color in Rose Gold, and its equal parts rose...and gold! Its the most lovely product and will last ALL NIGHT. Take a small amount of this product and coat your eyelid and your lower lash line. 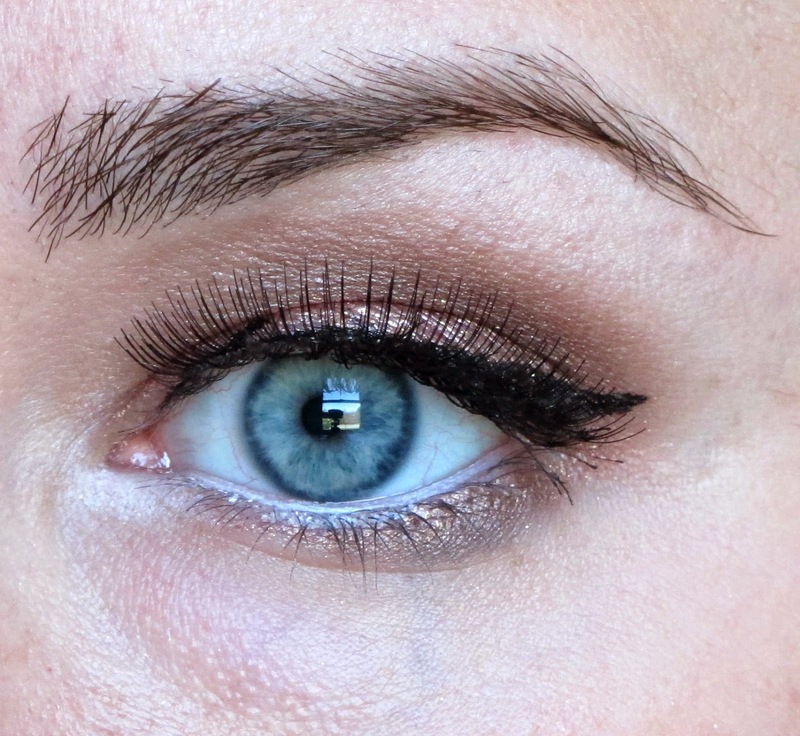 Now it's time to bust out your favorite palette, UD's Naked 3. Use "Trick" and concentrate it in the center of the lid, but blend it over the entire area. This is a gorgeousss rosey bronze color. 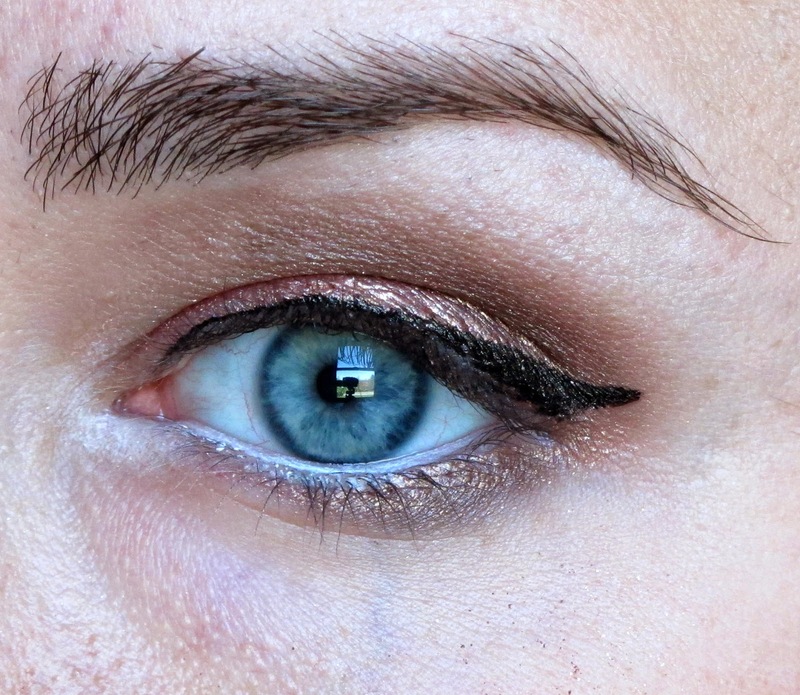 Next, use the color "Limit" and with a fluffy blending brush, buff it into the crease. The next color you will need from your palette is "Nooner." 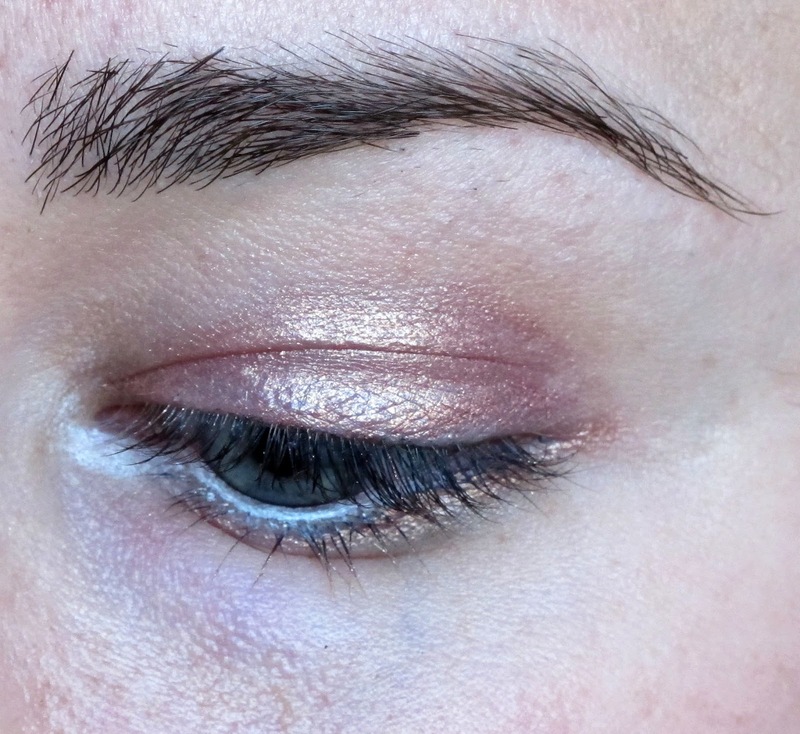 Use the same brush or a more tapered blending brush and work this color into the outer V of the eye and through the crease, also along the outer part of the lower lashline. 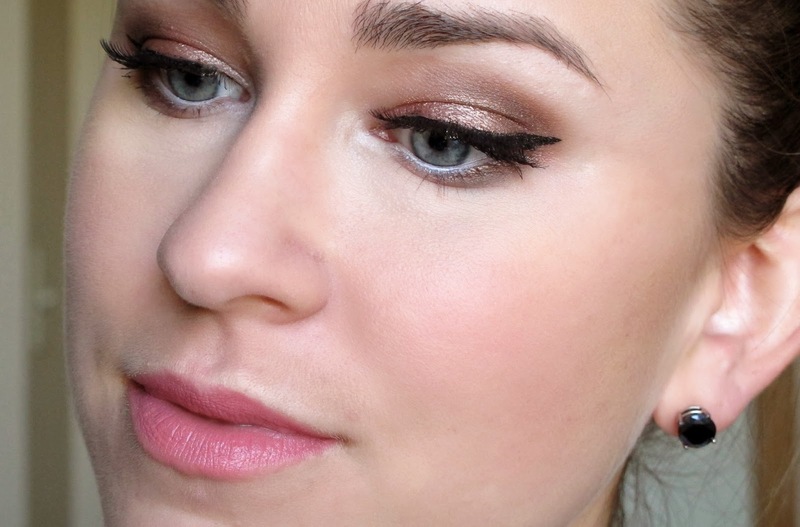 Take your favorite liquid liner and create a thin line just above the lashes, with a moderate wing. I used Stila liquid liner. It's Prom, bust out those lashes!! These are by Ardell and can be found at the drug store. 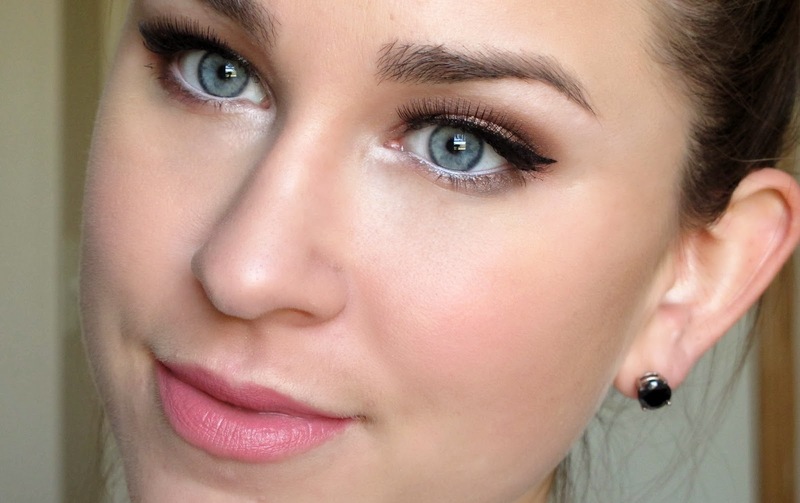 Coat your upper and lower lashes with some mascara before applying your falsies. 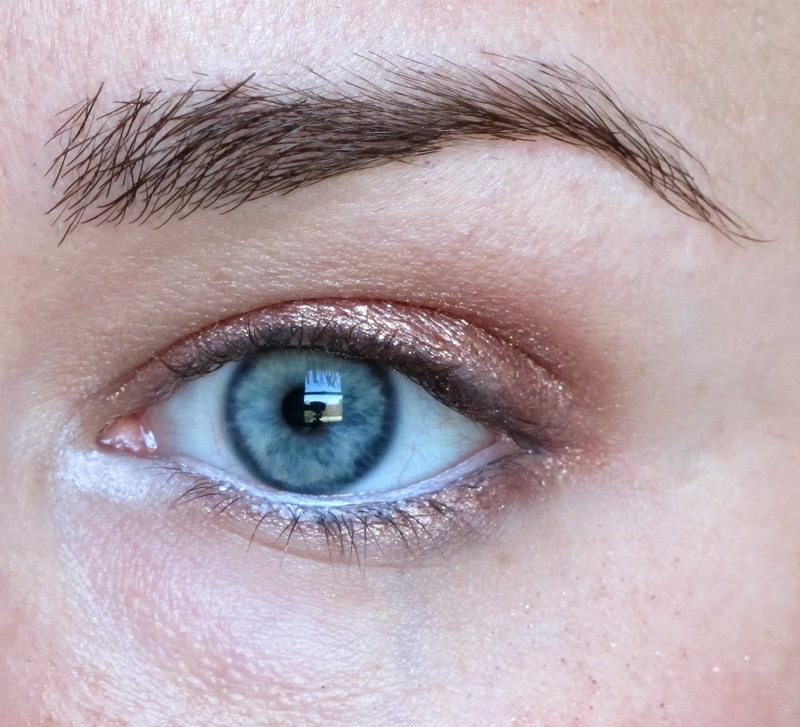 On the skin, I used Chanel Perfection Lumiere Velvet (review here) and applied with my fingers. I used Kat Von D's blush in Por Vida on the apples of my cheeks and swept it back towards the hair line. Define your cheekbones with your favorite bronzer (I used NARS Laguna). Sweep over your T-zone with your favorite mattifying powder. Finish off the looks with a pretty pink lip that will last. 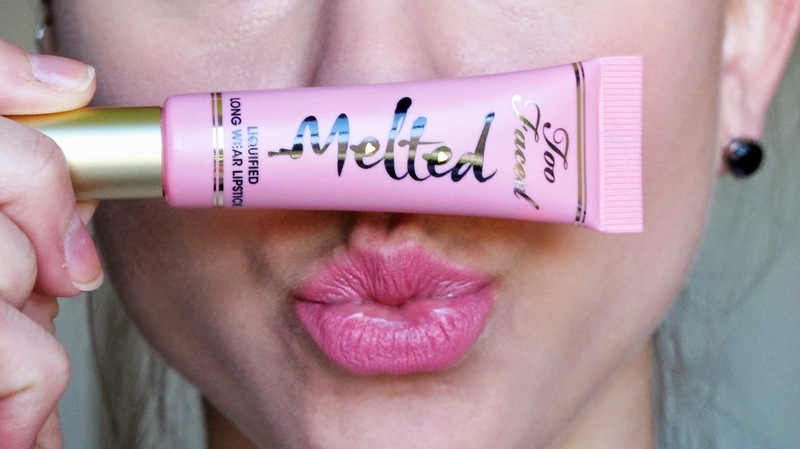 This product is an awesome option from Too Faced in the color Melted Peony. love the eye shadow colors you choose! such a lovely look!